Lytle took King on a walk through his career, starting with King growing up a comic book nerd and Avengers fan. After stints as an intern at both Marvel and DC, he sold his first work to Marvel to do Black Knight. 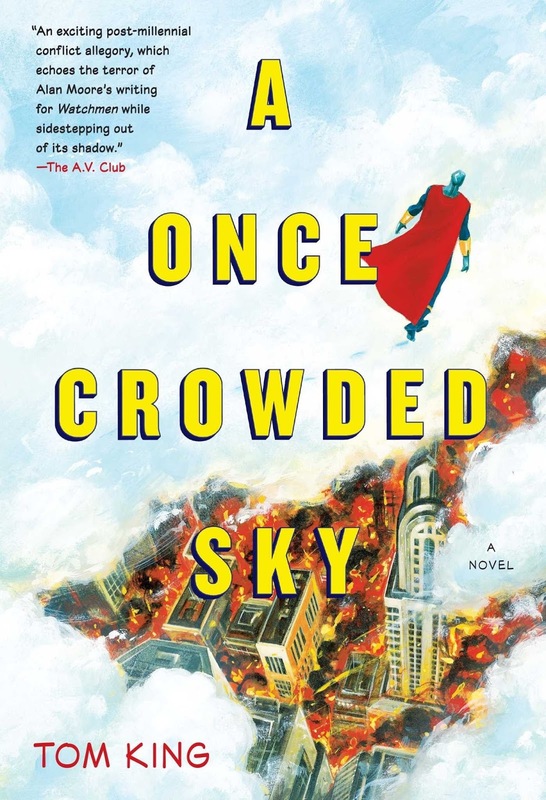 After a diversion into a career with the Department of Justice and later the Central Intelligence Agency, he became a stay at home father and worked on his first novel, A Once Crowded Sky. King claims no one bought his book (which is not true, as I picked it up from a Barnes & Noble display when it came out), so he instead was taking it from con to con to sell it personally. Cliff Chiang, who was drawing Wonder Woman at the time, gave him the contact info for a number of DC editors, and Karen Berger gave him his first gig doing an eight page story about Hitler's sister experiencing a time traveler coming back to shoot her brother. King wrote Sheriff of Babylon, based on his experiences in the CIA, during this time, but its publication was postponed until 2015. From there, King was teamed with Tim Seeley to do Grayson, which gave him a wide following, allowed him to experiment a little, and helped him realize how to write upbeat stories. 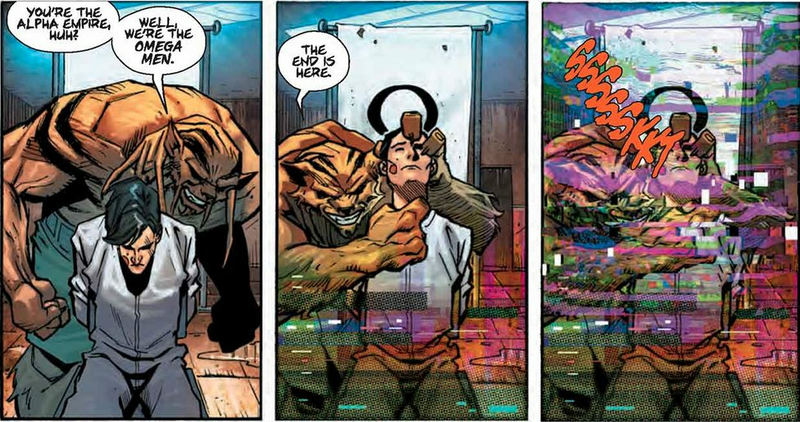 He followed that up with Omega Men, which was ultimately canceled due to sales. Tom tells a great story about Dan Didio, on the eve of announcing King as the writer of Batman, threatens to make him write DC's lowest selling book, only to be reminded that he was already writing DC's worst selling book. King doesn't look at this as a bad thing, though, because poor sales ironically gives a license to experiment, allowing him to try a number of things in Omega Men that he didn't think DC would otherwise allow. King next took a short gig with Marvel writing the dysfunctional suburban family cyberpunk story of The Vision. Here, King was able to take advantage of his years spent living in the DC metro area to paint a very real picture of Arlington, Virginia. Vision was another opportunity for King to experiment, as at the time, no one really cared what was done with the character, evidenced by the long list of horrible things done to Vision in recent years, including being killed off. As King put it, Vision fits his early theme of writing characters that try to do the right thing only to have it all fall apart. DC then signed King to an exclusive contract and gave him Batman to write. You can tell talking with King that exclusive contracts are a major boon to creators, as it gives them security that few freelancers are able to achieve. King explains that to be a "full-time" comic book writer, you essentially have to write four titles per month (averaging one book a week). Freelancers who receive fewer assignments than that typically have to supplement their income in some way. King still has three years left on his exclusive contract and has plans for Batman far into the future. King found the Batman assignment intimidating at first. He started trying to write the Batman that he thought everyone wanted, eventually finding his voice and delving into the core of the character starting with the "I Am Bane" storyline. 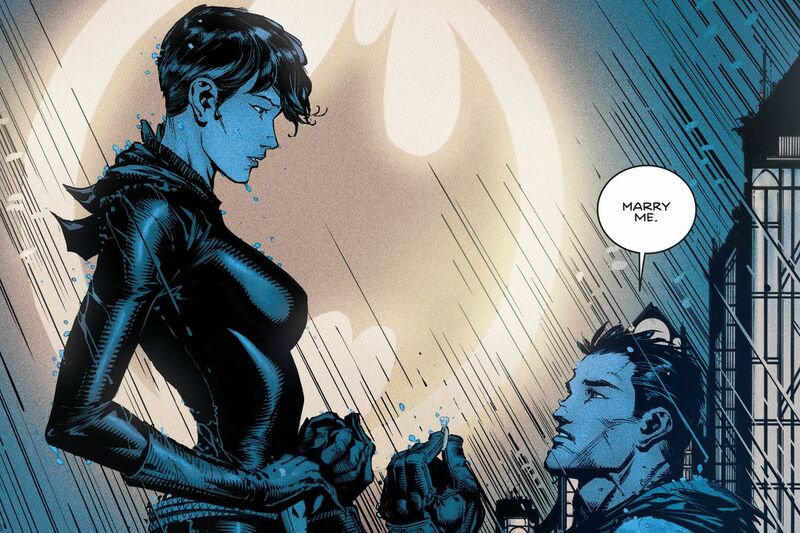 From there, King has been able to shape the title the way he enjoys writing, delving into the psychology of Bruce Wayne in a way that goes beyond the simple "he's just nuts" and making the big jump to an engagement with Selina Kyle. 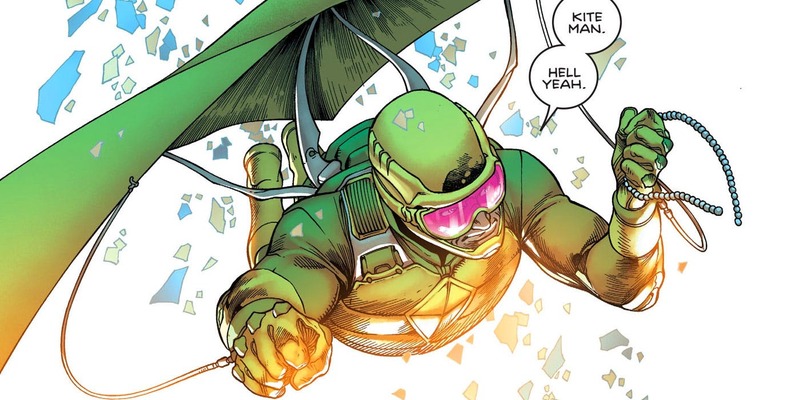 King decided to use Kite Man, who was one of Bill Finger's final creations in the Batman universe, as his version of Frank Miller's use of Stilt Man as a throughline character in Daredevil because his first use of the character made him laugh and King, who's a Charles Schultz fan, decided to play with the fact that (it was established canon by Tony Isabella) Kite Man's civilian name is Chuck Brown (Charlie Brown and kites just go together). 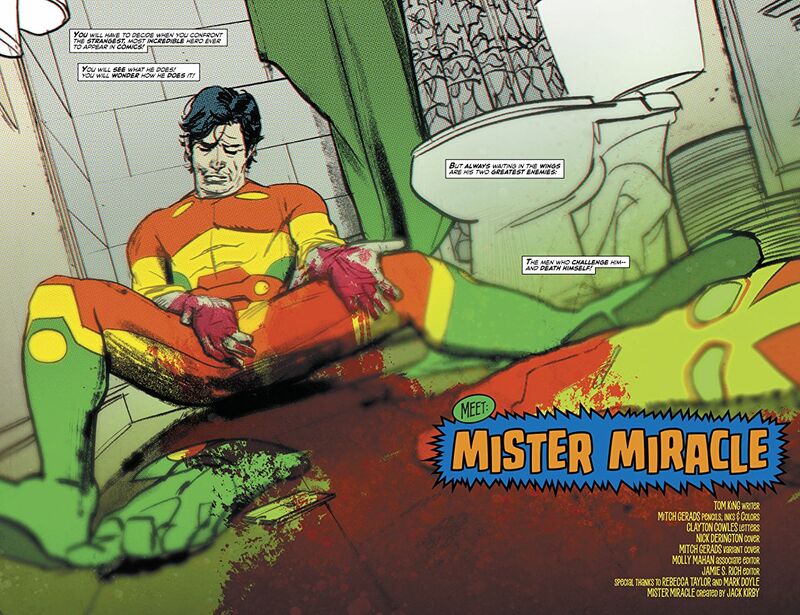 King's newest title is Mister Miracle, which he credits Julian for helping him shape. Lytle introduced him to the "Darkseid is" concept that now forms the backbone of the Mister Miracle plot. King also credits Lytle with giving him the "Shepherd of the Gods" name for Highfather. Miracle has allowed King to experiment once again, including the upcoming issue 5, in which he says the title "earns its 'For Mature Audiences' rating". 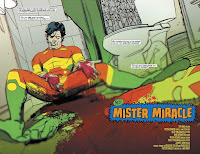 Lytle threw out an interesting theory regarding the events of Mister Miracle and invoking the movie Jacob's Ladder, which appears to be backed up by observations of specific panels in the book: we will find out by the end of the miniseries whether this theory proves correct. Throughout the session, King provided small insights into the comics world through his stories of interactions with other creators. Frank Miller, whose home King has visited and is filled with a toy car collection, told him that being given Daredevil, which at the time was on its way to cancellation, was the best thing that ever happened to him, because it allowed him the freedom to do almost anything he wanted. King talked about apologizing to Dave Gibbons for stealing his nine panel grid format from Watchmen only to be told that Gibbons stole it from Steve Ditko, so it was only fair. 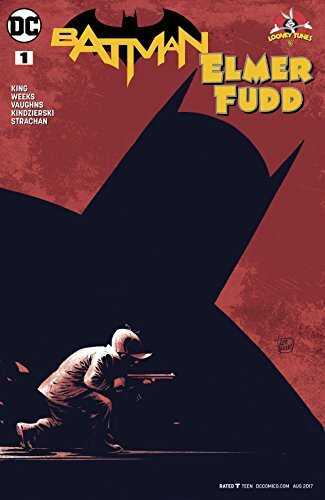 Grant Morrison said his favorite Tom King story was his Batman/Elmer Fudd crossover. King appeared most excited about becoming friends with Louise Simonson, who was his favorite writer as a kid. He also unpacked some of his working style. He used nine panel pages to help potentially inexperienced artists with their storytelling but have also found it useful for structuring much of his titles, stating that the point of comic book art is to slow the reader down while reading and that he finds the nine panel grid to be highly effective for that end (King's 30 second history of panel use in comics is a must for Comics 101). He's used Watchmen-like mirroring (left and right pages, front to back issues, and first to last issue reflections) to play with structure. He also makes a point of adapting his writing match the strengths of his artists rather than trying to select an artist that would work well with what he wants to write. He recommends Alan Moore's Writing for Comics as the best guide to becoming a comic book writer. In the meantime, King can be found twice a month writing in the pages of Batman (otherwise known as The Hilarious Adventures of Chuck Brown, Kite Man) and monthly in Mister Miracle.